We are lucky enough to have built in cupboards across one entire side of the nursery. When we purchased the house they were a horrible fading pine colour, however the actual doors and shelves themselves were in fantastic nick. We decided to have the entire built in wardrobe painted in a gloss effect in Wattyl’s White Delight (the same colour as the skirting, architraves, doors and windows frames). 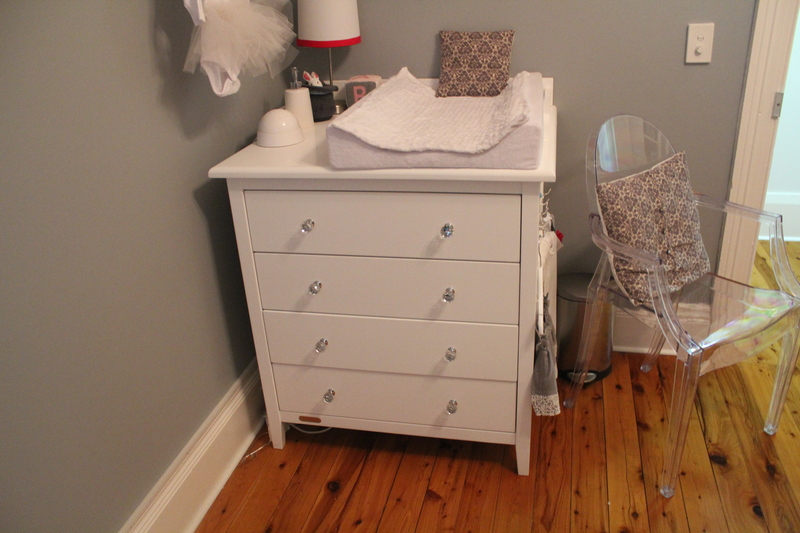 We kept all large furniture items (other than a comfortable chair for nursing) in white – perhaps to be used in a boys room one day(?!?) and allowed us to style the remainder of the room in bright colours for our little girl. 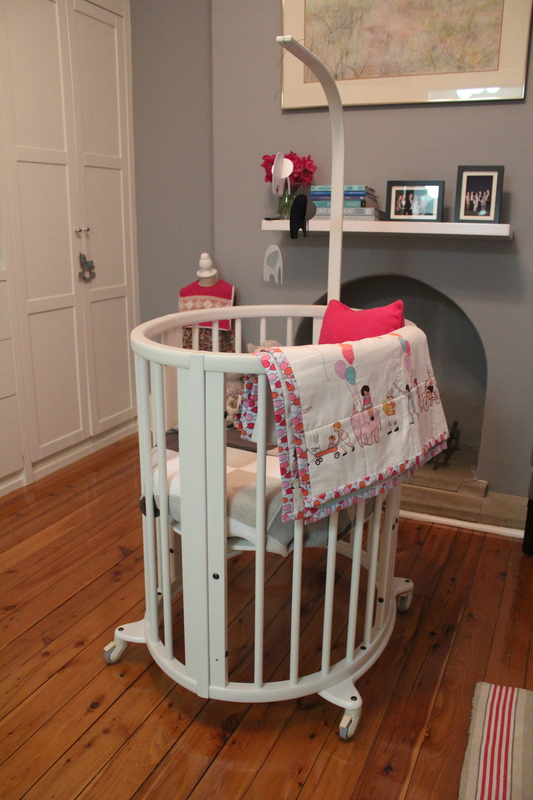 Once the cot, change table, nursing chair & side table were in place I was able to visualise the room and get going on the fun part! 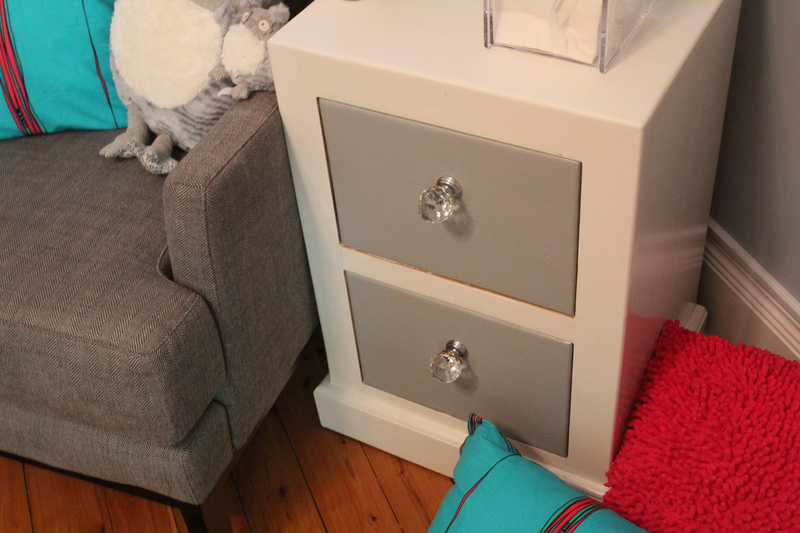 * White & grey side table – old pine bedside table customised by catherine and grace with Wattyl’s White Delight & Snowdonia interior paint finished with a clear gloss and crystal knobs (see related post).